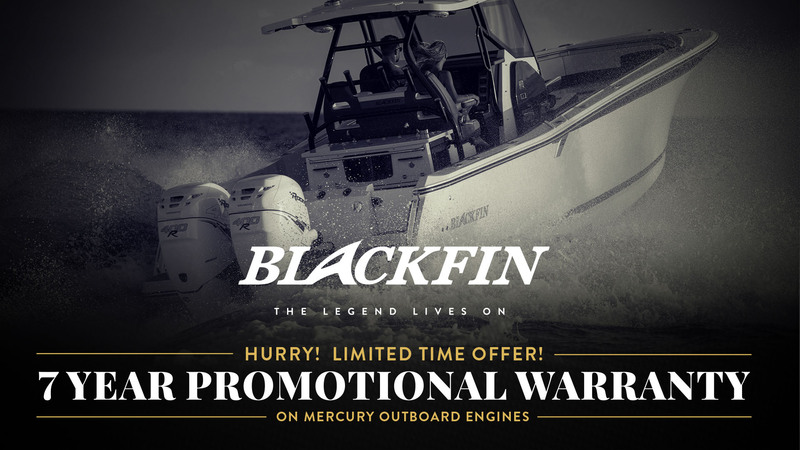 The Blackfin 7 year mercury outboard promotional warranty applies exclusively to new 2018 and 2019 Blackfin Boats that are retail sold at select winter 2019 boat shows. Sales must be complete with a signed contract and deposit from January 2nd 2019 to April 30th, 2019. The retail customer must take delivery by 11:59pm April 30th, 2019. Some restrictions may apply. This offer may not be combined with any other incentive or promotion.